It hasn't taken James McGary very long to make his presence felt in this 2018 football season. 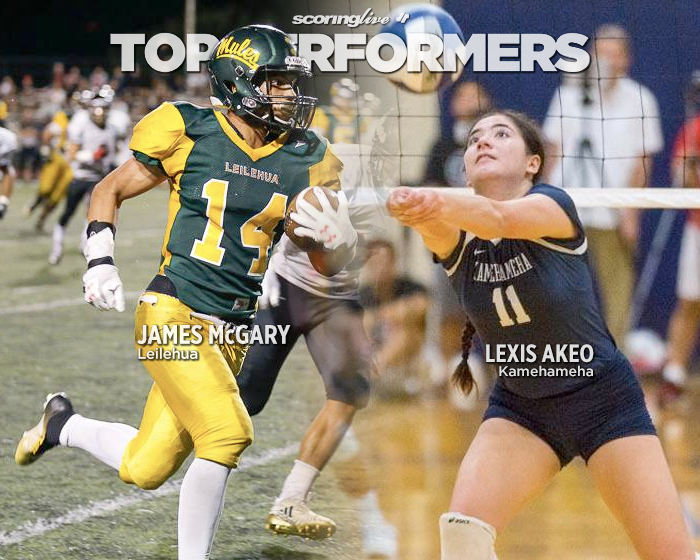 After missing Leilehua's first three games due to a hand injury, McGary hit the ground running in the two games since, including a prolific performance Saturday night. McGary, a 5-foot-11, 175-pound senior running back, carried 28 times for 225 yards and three touchdowns to help the Mules to a big 31-20 home win over then-ninth ranked Iolani at Hugh Yoshida Stadium. "He's just a high-character guy that puts in the work," Leilehua coach Mark Kurisu said of McGary, who scored on an 80-yard run on to open the scoring midway through the first quarter and added a pair of 3-yard TD runs after halftime Saturday. McGary averaged an astronomical eight yards per carry against the Raiders. "I thought he did a great job, but I think you can also credit the O-line for making adjustments and I think that's what the game was about, a battle of adjustments, both sides scheming their adjustments and then the players picking it up," Kurisu said. "James adjusted and was able to find it. We did some things in the game that we didn't do (in practice) during the week, but he found a way in the game." Kurisu said Iolani's decision to drop back more bodies into pass coverage dictated a run-heavy attack from offensive coordinator Andrew Manley. "They put up a front that we hadn't seen, so they put a little more personnel on our receivers — one more defender covering the pass — which opened up the run for us. Coach Andrew was able to locate some plays that would be effective and James just ran with it," Kurisu said. Of course, there are no big gains without downfield blocking. "We have a philosophy: no block, no ball. If the receivers aren't blocking, they're not getting the ball," Kurisu said. "When we watch the film, the receivers especially can see if they've been doing their job, but we do have to still be smart about it. We won't force the pass to them. We still gotta stay within the flow of the game, but this game dictated that we run it a little bit more than pass and it paid off." The Mules saw their early lead disappear after Iolani scored 13 straight points to take a 13-7 lead into halftime. After the Raiders fumbled away the opening possession of the second half, Leilehua gave them a heavy dose of McGary on its ensuing drive. McGary carried on five consecutive plays and gained two first downs in the process. He ripped off a 15-yard run to set-up his own 3-yard TD run to tie it at 13 with 9:54 left in the third quarter. Early in the fourth quarter, McGary picked up four yards on a pivotal third-and-1 and quarterback Max Nichols tossed a 42-yard TD pass to Jeremy Evans one play later. A 41-yard field goal by Akoni Tom-Makue stretched the Mules lead to 24-13 with about four minutes remaining before McGary put the game to bed on their final possession. McGary, who also runs track during the spring season — broke off a 10-yard run and later a 33-yard pick-up on a third-and-7 to get to Iolani 3-yard line. Two plays later he scored his final touchdown of the night — one of the 11 rushing first downs he was responsible for. "He was able to get into his third and fourth gears and he was able to run with some power, but just seeing the hole and trusting this group of O-linemen was nice to see because last year he had a senior crew of linemen that did a heck of a job and his stats reflected that. He's beginning to trust this group and he can hit the hole a little harder instead of being hesitant, so the cohesiveness with the O-line is definitely better," Kurisu said. As a junior last year, McGary rushed for a team-high 736 yards and five touchdowns, including a 319-yard, two-touchdown effort against Kailua, on his way to First Team All-OIA Division I Red honors. In his season debut two weeks ago, McGary carried 17 times for 123 yards and a 47-yard touchdown in a 63-12 win over Nanakuli. McGary's return has solidified an already talent-rich offense. Leilehua is averaging 33.4 points and 328 yards per game through its first five games. The win over the Raiders was the fourth straight for the Mules (4-1 overall, 3-0 OIA Division I) since a season-opening loss to Farrington. They moved up three spots to No. 8 in this week's ScoringLive/Hawaiian Electric Power Rankings. McGary and the Mules will host No. 14 Moanalua (3-0) Friday with the winner assuming sole possession of first place in the eight-team division. ScoringLive reporter Brandon Ching contributed to this report. Lexis Akeo is picking up this season where she left off the last. The Kamehameha setter averaged just over 27 assists in three matches last week — all wins — to open the Interscholastic League of Honolulu girls volleyball season. Akeo, a 5-foot-9 senior, recorded 30 assists, 12 digs and two block assists in a straight-set win over Punahou last Tuesday in the Warriors season opener. Two days later, she posted 16 assists, two digs and a block assist in a sweep of Maryknoll. Akeo closed out the week with a 36 assists, nine digs and a block assist in a three-set victory over Iolani Saturday. "It was a workmanlike effort," Kamehameha coach Chris Blake said of Akeo's performance against the Raiders. "We had our plan and we stuck to it. 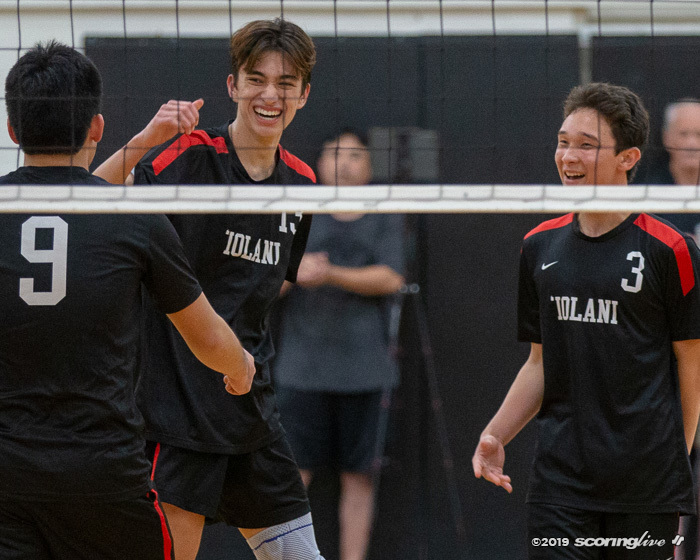 Iolani is a very good team with a bunch of dynamic players over there and they're very well coached, but how she stuck with the plan and was very resilient and steady was impressive," Blake said. "She wasn't too wound up, she celebrated the great plays, washed the not so good ones and then on to the next one. It's sort of like a hitter's mentality in baseball. She did a very good job of that and then setting up our hitters for the best situations in our offense, I thought she did a pretty good job with that as well," Blake said. Five different players put down at least five kills Saturday, including 11 from Keonilei Akana — who also recorded a team-high 19 digs — and 10 from Malie McClure. 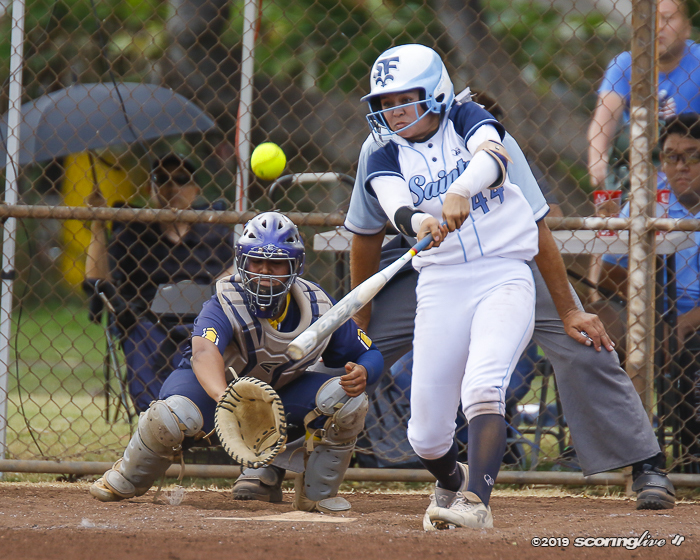 Akeo's set distribution kept the Raiders on their toes, as they managed just three team blocks in a rematch of three Division I state finals. "She moved the ball around really well, put us in good spots and she's continuing to improve on the things she has to. She served really tough, did all the other things besides distributing the ball and helped us come out with a W, for sure," Blake said. Blake likens the Warriors numerous offensive weapons to tools in one's shed, but reiterates that Akeo is the straw that stirs the drink. "She makes the right plays at the right time. I think you can have the tools all around the garage, but if you're not using those tools correctly you won't get the result. We've got a good number of components on our squad and the setting position is more of a servant position. You're setting up someone else to get the accolades and that's something she's understanding a lot better and putting our players in the right place at the right now," Blake said. Blake noted that a transition to a quicker offense this season has put a lot on the shoulders of the fourth-year varsity player. "A lot of that has to do with her continued growth and capabilities. We put a lot of emphasis on decision making and over the course of the last three years, going on four, she's continued to build on the mental phase of the game. Having that kind of player and having that trust from our coaching staff to do those things is, I think, a testament to where she's continually developing as a player," Blake said. As a freshman, Akeo cracked the starting lineup by the second half of the season and helped the Warriors claim their 20th state crown. 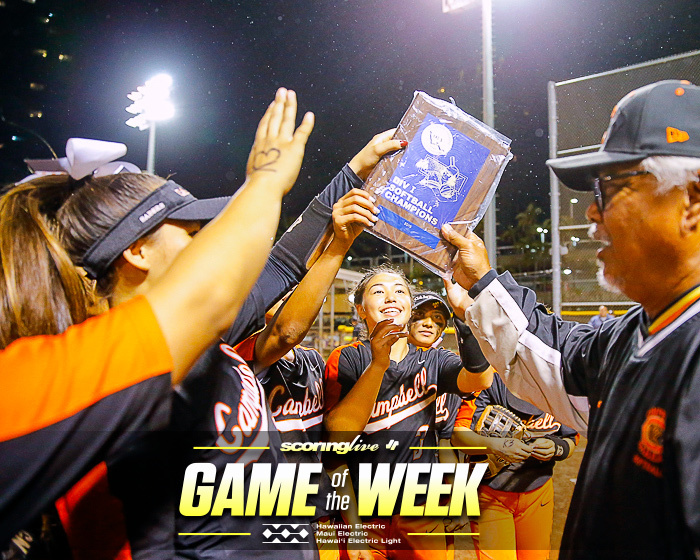 They won the ILH championship in each of the next two seasons, capped off by another state title last fall. Akeo posted 35 assists, 11 digs, three block assists and three kills in the championship match and was tabbed as the tournament's Most Outstanding Player. 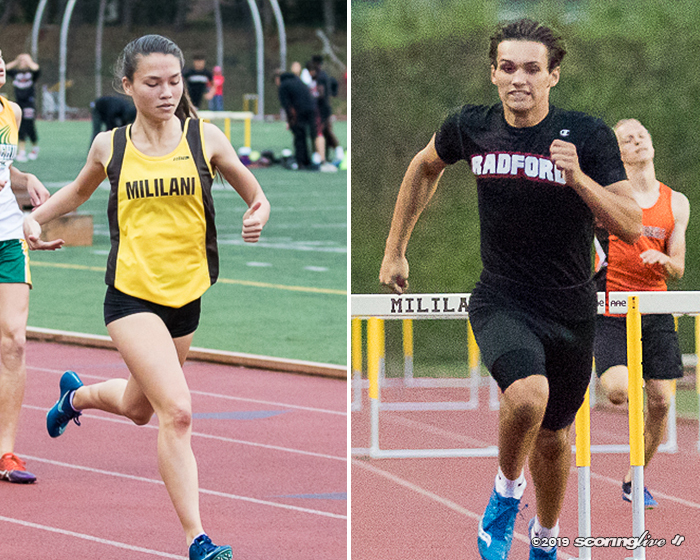 She also went on to collect All-Hawaii Player of the Year honors. "She's willing to take new things to continue to improve," said Blake, who added that the addition of setting coach Uila (Crabbe) Peaua has further benefited Akeo this year. "She's definitely not resting on her laurels, but she wants to continue to improve so we can continue to do our things on and off the court, for sure." Akeo will follow in the footsteps of her older sister, Kamalani, and play for the University of Pittsburgh next year. Another sister, Leslie, is an assistant on the Warriors coaching staff. "She's the last of the group," Blake said. "She's seen her brothers and sisters come through our program and have success, her dad is a coach, so it's those types of experiences that are benefitting her now. She's had eyes on her from when she was young and for her to step in and do great work, it's like she was meant to do this. I think we're seeing that culmination of that work on the court and we're just happy to have her do those things for our program." 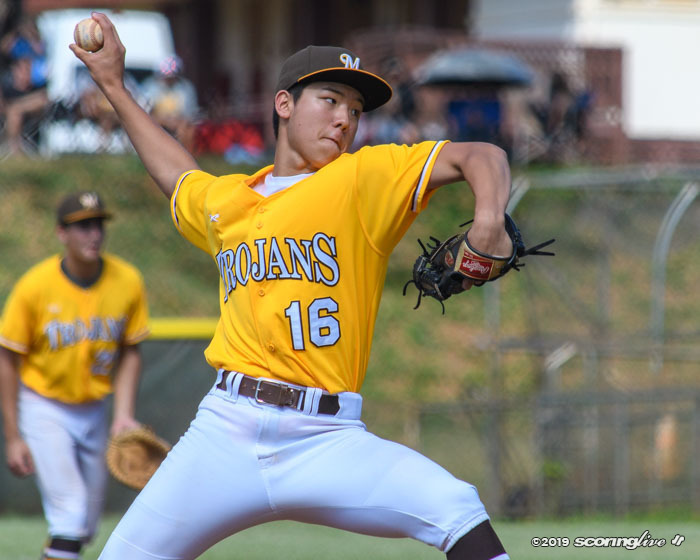 Akeo and the Warriors (4-0) remained undefeated and in first place in the ILH Division I standings with a four-set win over Punahou Tuesday night. Kamehameha is No. 1 in the ScoringLive/Hawaiian Electric Power Rankings and ranked 16th nationally in this week's USA Today Super 25. The Warriors will travel to Las Vegas this week to participate in the prestigious 64-team Durango Fall Classic. 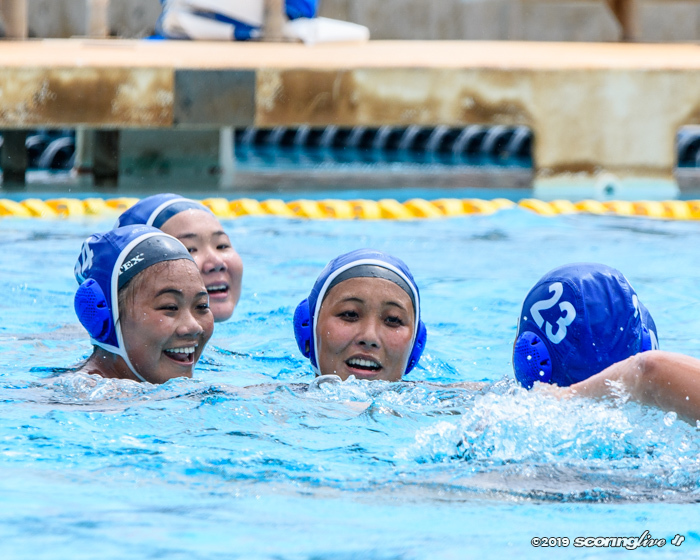 Iolani is also taking part in the tournament, which begins with pool play Friday and concludes Saturday.